Overall size 9-1/2" H x 12-1/4" W. Left pocket dimension 5-3/4" D x 9" W. 11 pt manila stock. 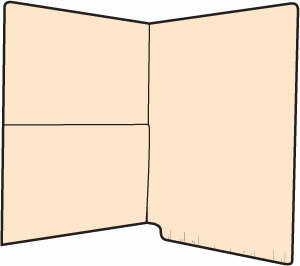 Double ply end tab with embossed label placement marks. No fastener. 50/Box 250/Ctn.